Companies who decide to receive a license for gambling in Gibraltar can get quite a few advantages and bonuses from the local authorities. First and foremost, it is reliability, as well as an brilliant reputation due to the famous and high-status jurisdiction known throughout the world. A license for gambling can be allowed only to a proven and reliable provider that has already established itself as a successful player in the market and has shown its stability and honesty. Jurisdiction monitors the fulfillment of requirements by future licensees and does not accept documents at the slightest suspicion of dishonest activity. Gibraltar’s gambling license will be freely received by the applicant who already has (or had) a gaming license for casinos in other respected jurisdictions. The novice company will not be able to obtain a license for the gambling business in Gibraltar: for this, it needs serious recommendations from major financial and economic experts. That is why the jurisdiction of this country is considered to be one of the most reliable and safe in the world, it exists only among experienced companies. 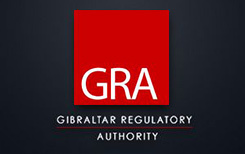 Gibraltar created an ideal offshore zone, where the authorities in every way contribute to the development of gambling.